As you can see, I can answer the first two questions, but that third one is always something that I am seeking out up until the front office receives the email (used to be a fax) from the Cubs with the initial roster – somewhere during the second week of June. With the MLB First Year Players Draft set again just one week before the short-season clubs begin play, expect initially, a roster of 24-26 players, made up of either repeat Boise players, or young prospects making their first-ever trip to an affiliated club – last year, there were a total of zero 2014 draft picks on the initial. The biggest question, to me, is which of the former players will survive Extended Spring Training. One of the toughest things I watch all season (and off season) is the Baseball America minor league waiver wire – to see which players are traded and/or released. With six players currently in Mesa that have been to Boise before, some already with two years of MILB experience, the thought to me is that they will either be the veteran guys to start the year with the Hawks, or will be released. TheCubReporter.com writer Arizona Phil provides the only in-depth coverage of Extended Spring Training on the web – and gives a great assist into who is progressing/regressing in Mesa – and confirmed a lot of the speculation that I had. On the mound, look for Trevor Graham, Tyler Ihrig, Trevor Clifton to break with the club to the Northwest League – all have been solid all Spring (and all are candidates to jump to Kane County, as Josh Davis, Zak Hermans, and Michael Wagner have, however Davis has been returned to Extended and may be a candidate to head to Boise). 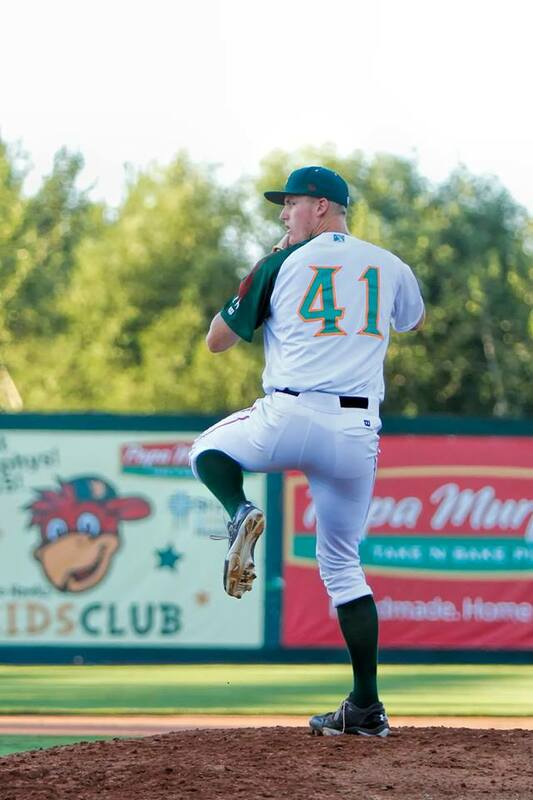 All are 2013 draft picks (Graham in the 12th Round, Clifton in the 13th, Ihrig in the 23rd) and pitched in the AZL. A 2013 Top-10 pick, David Garner, of Michigan State may be a candidate as well as former Hawks Scott Frazier (pictured right), Corbin Hoffner, Trey Lang, and Jasvir Rakkar. A bevy of players from Latin America are also in the mix, including Carlos Llano (DSL-Cubs closer last season, 6-1 2.95 6 SV), Francisco Carillo (8-3 2.09 ERA in VSL), and lefty Alberto Diaz (3-0 2.18 ERA in VSL). A lot can change down in Mesa (call-ups, injuries, being released) in the final three weeks of Extended. 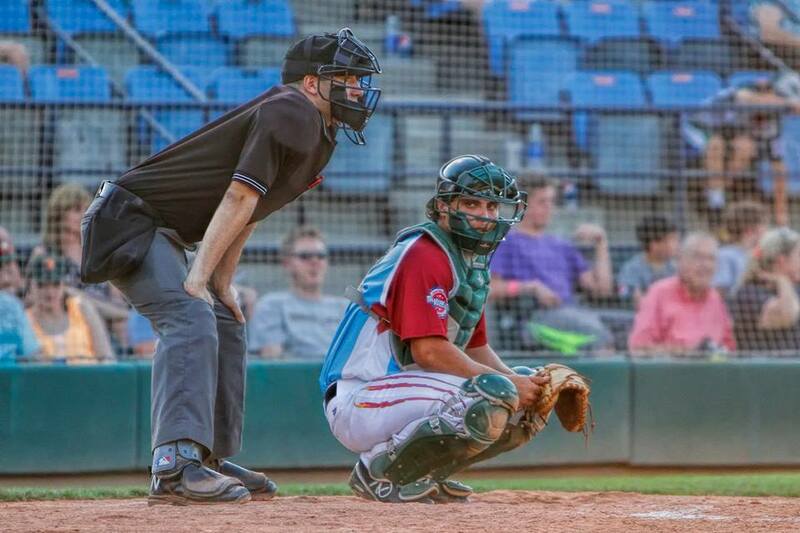 On paper, it looks as if Justin Marra (pictured left) will make a third tour of Boise, as he is the most experienced catcher currently in Mesa – though Ben Carhart (a player who is converting to catcher in Kane County) could move down to get more reps. Prospect Mark Malave, another player who the Cubs have moved around (has caught and played corner infield spots) would be in the mix, with the wild card being 2013 draft pick Tyler Alamo (similar build to 2013 Hawk Cael Brockmeyer) – though most feel Alamo will being in the AZL (but could be a mid-season call-up – similar to Dan Vogelbach). It’s a safe bet that there will be returners on the infield, including Jesse Hodges – who never actually got an opportunity to see Boise. The third-baseman had two tours of duty with the Hawks – both series’ in Vancouver, just across the water from his home in Victoria, B.C. Another former Hawk, Rony Rodriguez (pictured right), has been playing a lot of first base in EST, joined by Roney Alcala, who won the 2013 Venezuela Summer League batting title. 2013 draft pick Zak Blair has been playing second base all spring and would figure to be the Hawks everyday second baseman to start, while shortstop could be interesting. From reports in Mesa, Gleyber Torres is the top shortstop of the group in EST, but he is just 17 – which was the same age Jurickson Profar was when he played in Spokane – but I don’t see the Cubs pushing the talent. I could see Giuseppe Papaccio, who has been the roving utility middle-infielder this spring (time in both Daytona and Tennessee) bridging the gap until a 2014 college draft pick arrives – as I don’t see any infielders up the ladder (KC/DAY) returning to repeat Boise. I really like the possible look of the Hawks outfield and could be one of the better defensive groups in a while. Two returners – Jeffrey Baez and Kevin Brown should make the trip North, along with Top-10 draft pick Charcer Burks. 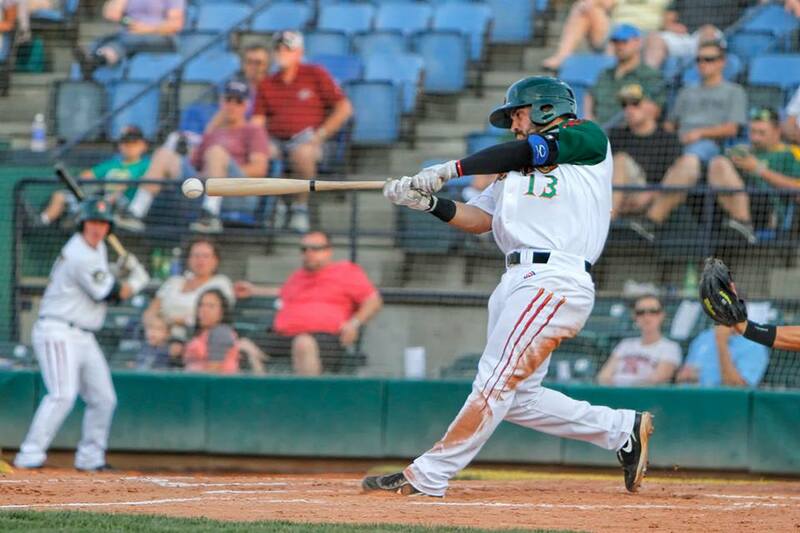 All can swing the bat, provide gap power, and run – which are all things needed early in the NWL season. A name that I’ve been intrigued with is Shamil Ubiera, a young player from the Dominican Republic, who put up huge numbers the past two summers in the DSL (.297 4 HR 41, 24 2B in 2012; .301 4 HR 56 RBI, 18 2B in 2013) and will be an asset either in Mesa or Boise. I will chat soon with skipper Gary Van Tol, so look for that interview and plenty of pre-MLB draft coverage in the next three weeks. Well done Mike, thanks for the update.